Early this week, venture capitalist Yuri Milner (backed by glittering names that included Stephen Hawking, Ann Druyan, Mae Jemison and Mark Zuckerberg) announced the next step of his Breakthrough plan. Part 1 is Listen – equivalent to passive SETI efforts; Part 2 is Starshot, a mission to reach Alpha Centauri within twenty years by using miniaturized probes. Such a rapid journey is theoretically possible if the probes are equipped with tiny photon sails and accelerated to a percentage of lightspeed by ground or orbiting lasers. All of the technology needed for Starshot has passed proof of principle, though none of the specific components is actually at hand. The concept itself has enough original aspects – and enough advantages – that it could well succeed: sending armadas of small-cross-section vehicles dilutes the risks and increases the collective chances of reaching the destination. The mission length is just short enough to sustain interest (though people tend not to mention that it will take several more years for any information gleaned by the probes to get back to us — and that the Alpha Centauri three-star system has no confirmed planets). It’s not burdened by the prohibitive demands of slow ships to Alpha-Cen, with or without live cargo. And just starting the engineering of the Starshot components will lead to a spate of innovations, whether the mission is undertaken or not. 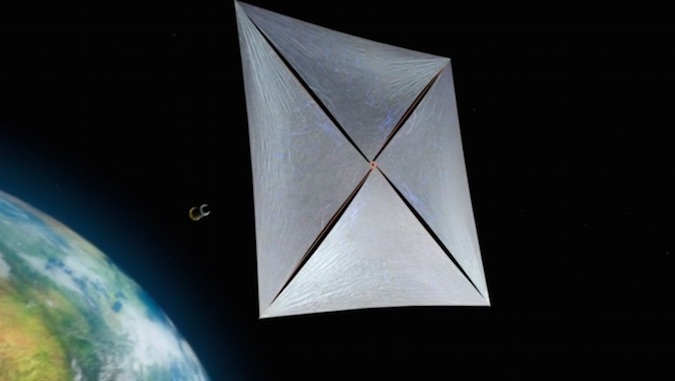 Starshot, with its emphasis on new research on miniaturization, laser technology and materials science, underlines the almost complete lack of equivalent biological research that might make larger, slower starships possible – from self-sufficient ecological systems to ways of keeping a crew safe and sane during long star travels. Astrobiology has confined itself almost exclusively (though with some justification) to extremophilic bacteria and nobody is trying to untangle bear-style hibernation, to give but one example. The sole non-bacterial/fungal critters that seem to have engaged the interest of astrobiologists are tiny invertebrates with the formal name of tardigrades (= slow walkers). The popular monikers of tardigrades are water bears or moss piglets, but they resemble nothing as much as eight-legged micro-manatees, including their habit of placid munching (though they have bear-shaped fangs and claws and some are cannibals). They’ve become media darlings by dint of both perceived cuteness and grace under pressure. Their average size is that of a sesame seed (1-2 mm) and, like mites, they’re found everywhere – from deep sea trenches to the slopes of the Himalayas, from the equator to the poles. Their anatomy, habits and life cycle are unremarkable, except for their record endurance of extremes of temperature, pressure (both deep-sea high and vacuum-level low), gravity, dehydration, radiation, toxins. They accomplish this by rolling into a compact configuration known as a tun (barrel) and decreasing their water content to 1% of the normal. Just as arctic fish use glycol to keep their structures intact in freezing water, so do water bears, though they deploy another type of sugar (trehalose). Several other invertebrates can enter and exit cryptobiosis – rotifers, brine shrimp, nematodes – but water bears are the only organisms known so far to be successful at all types of it. That said, media fail to convey the fact that this endurance is statistical: the longer and harsher the conditions, the less likely the survival of water bears – or their eggs, especially at early embryo stages. So one take-home lesson here is that we can shrug at the percentage of tuns that revive successfully, because they’re not fellow humans or even loved pets; they’re not losses that cut us to the quick. It’s also no surprise that people tried to pin the water bears’ abilities to unique genes or gene networks, whereby the tale turns to the dangers of both reductionism and love of magic bullets. Recently, two groups published the genome sequence of a tardigrade species. One of the two reports, ahead of the other by a few days, got the lion’s share of the press – not only because it was first, but also because it made the flashy announcement that tardigrades are as sturdy as they are because ~17% of their genes come from horizontal transfer. The authors of this study hypothesized that such an influx of foreign DNA is possible when the water bears reconstitute their chromosomes during revival from tun status, at which point they’re leaky across scales. Of course, one prediction of this hypothesis is that tardigrades should have undergone incredibly rapid and divergent evolution, which is very visibly not the case (I fully expect a cult theory of tardigrades as single-point earth life ancestors to spring up as a result of this blog post). People who know how genomes, organisms and evolution work shook their heads at this announcement and waited for the other shoe to drop. It promptly did with the close-following second sequencing study, which demonstrated that horizontal transfer in tardigrades does not exceed the average 2-3% found in all organisms, and that the results of the earlier study came from contamination of the tardigrade genomic material with DNA from bacteria in the water bears. To be fair, it’s incredibly hard to avoid such contamination, especially with something of water bear size, though there are ways of detecting and correcting it after the fact. However, separating wheat from chaff requires long, painstaking work – and in these days of dwindling-to-nothing funds for basic research, being first is at a premium. Learning how tardigrades go through literally killing regimes will teach us much about basics, and may show the way to useful applications. But I suspect that most of that knowledge won’t be portable to large, slow-metabolizing mammals like us. What will undoubtedly be of direct use is deciphering the mechanisms behind bear hibernation. Results from such a study will not only be applicable to human spacefaring, but will also help revive patients from long comas and serious traumas with less muscle waste and/or irreversible brain and other organ damage. Like much research nominally focused on space, investigation of other non-bacterial terrestrial biologies may not only enable us to travel into the beguiling star-studded darkness beyond our friendly base, but may also improve our life here and now. 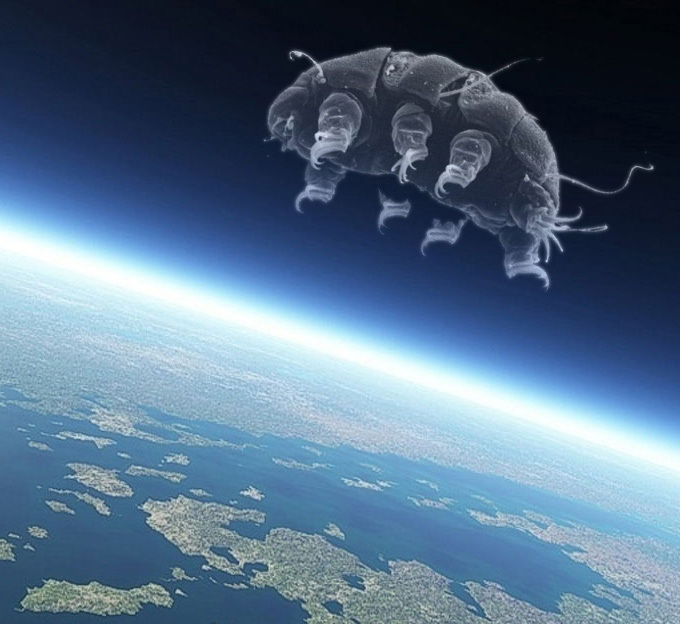 If/when we venture past our gravity well, it’s certain that the imperturbable water bears will be on board with us. And despite stringent precautions against contamination, I wonder if the Voyager craft are carrying tiny sleeping tuns on the winds between the stars. You are currently browsing the Astrogator's Logs weblog archives for April, 2016.